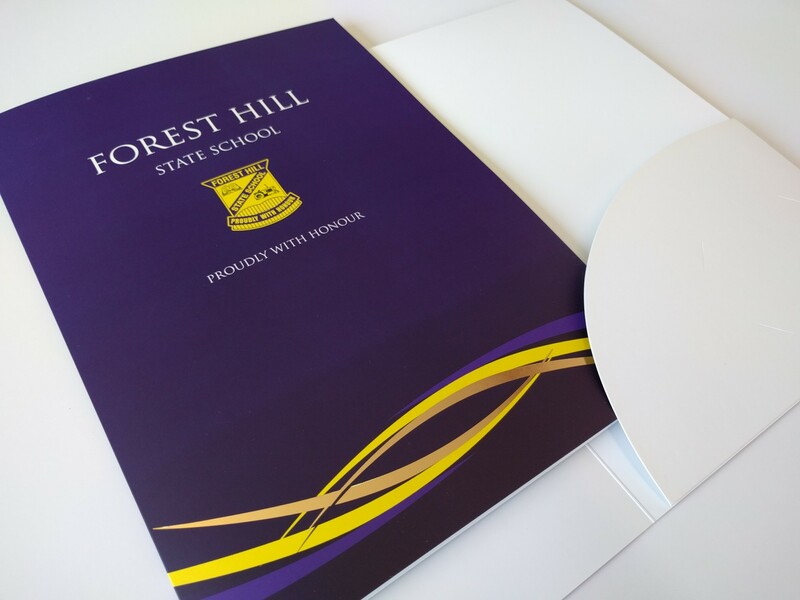 Professionally designed school Presentation Folders and Enrolment Folders add a touch of class and polish to any organisation. 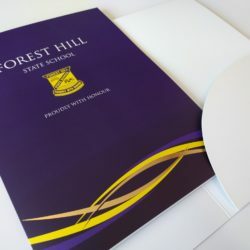 They can be used for a range of purposes as a school administration tool as well as a functional marketing aid that can house all of your products and material. 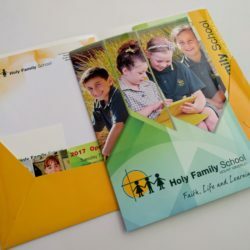 Print Design Australia creates school presentation folders for storing school brochures and pamphlets, that can be used as a functional promotional tool. 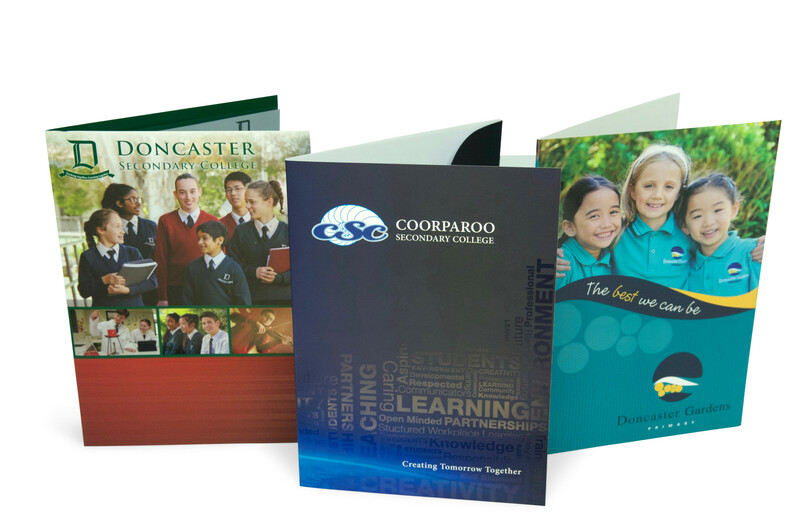 We also offer school stationery products that can be used as a promotional tool. 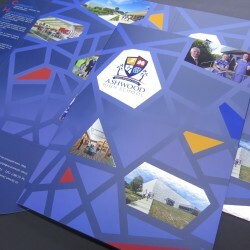 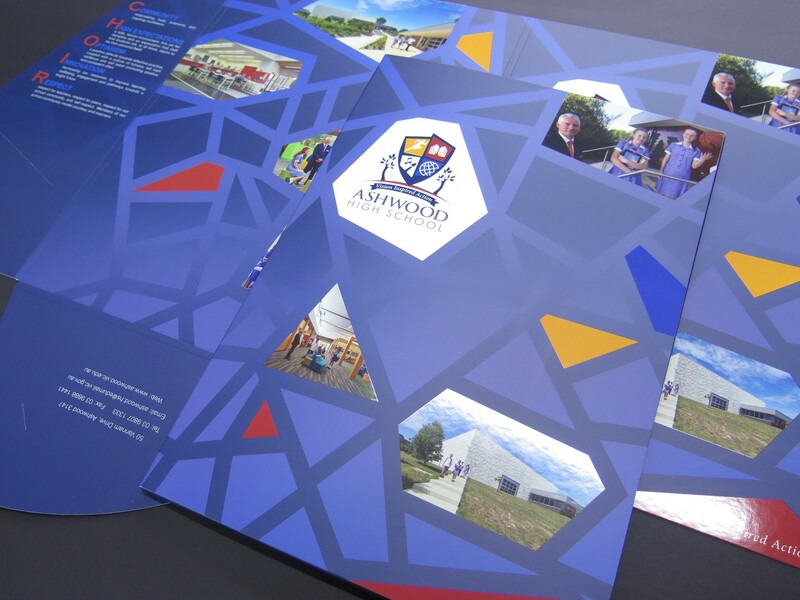 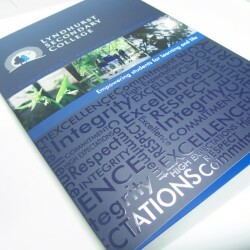 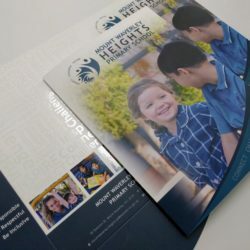 Print Design Australia also does school prospectus design and printing, which represents another product which you can add to your product array so as to further complete your brand offerings. 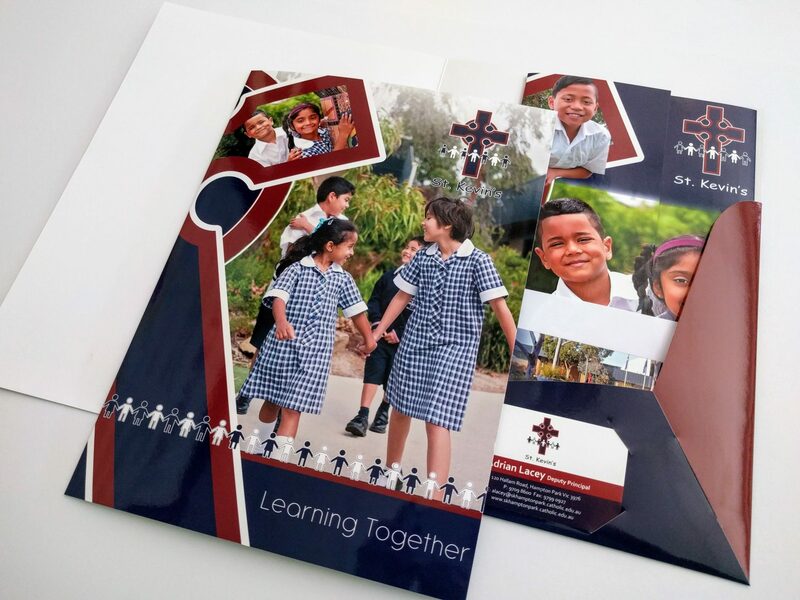 A school Report Cover and Enrolment Folder represents something that is likely to leave a lasting impression of your school as most parents keep their children’s school reports for life. 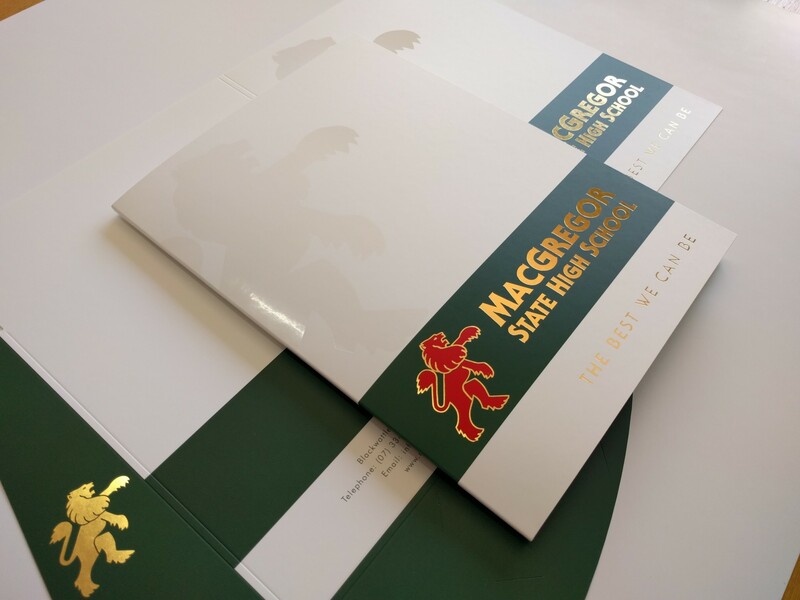 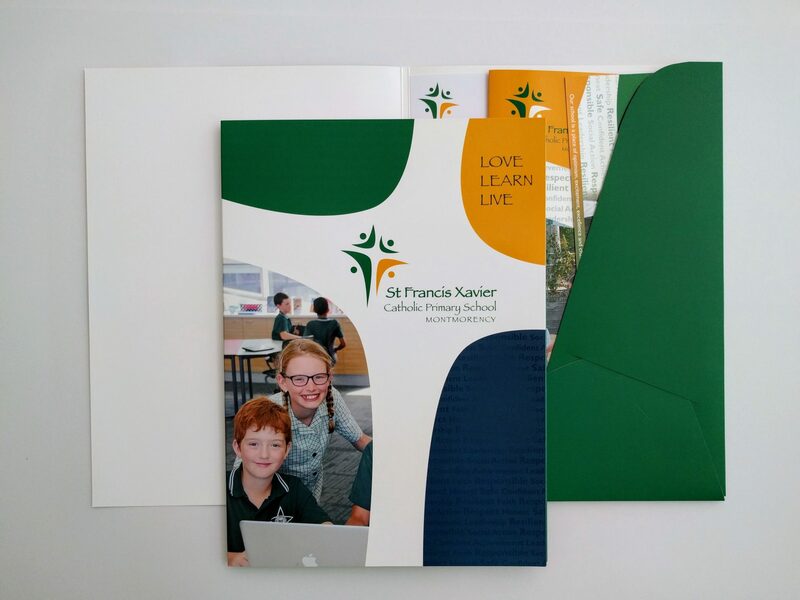 Make your school reports look sharp with a bespoke designed school report cover or enrollment folder from the team at Print Design Australia. 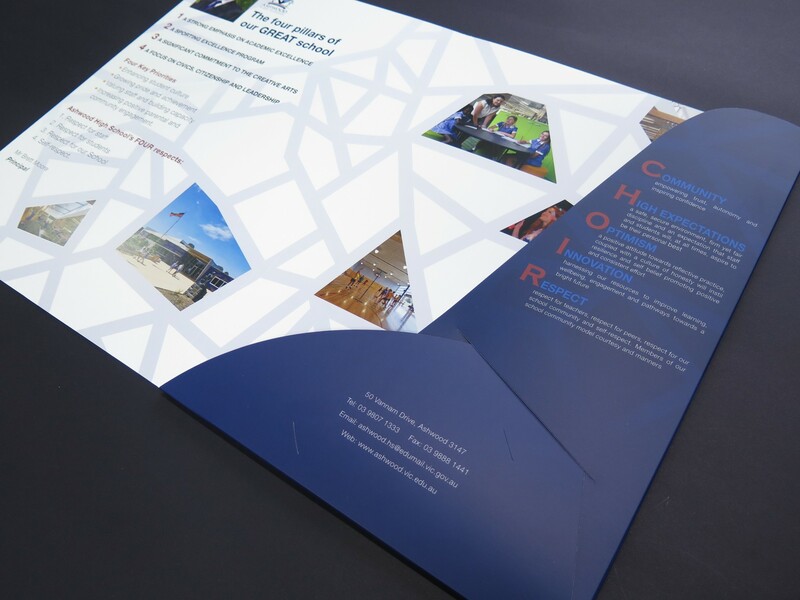 Our experienced team of graphic designers will work with you to come up with a design we know will make the right impression. 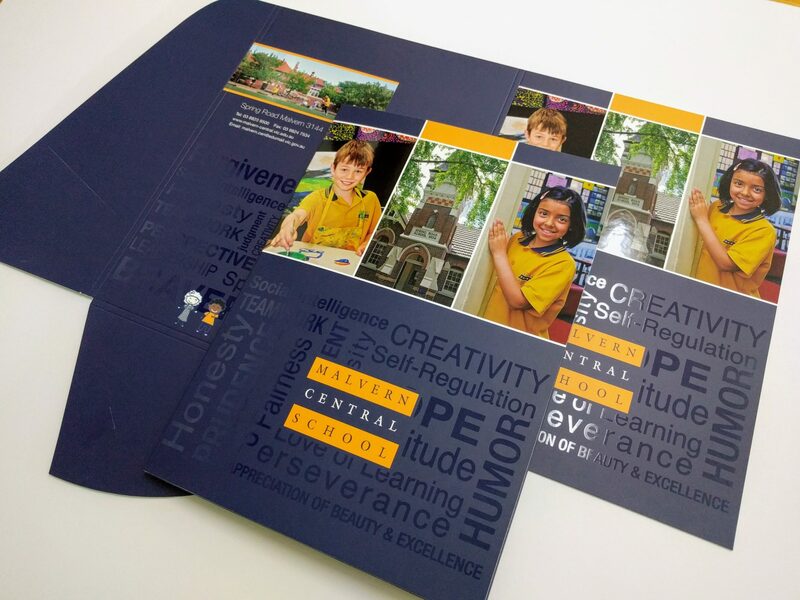 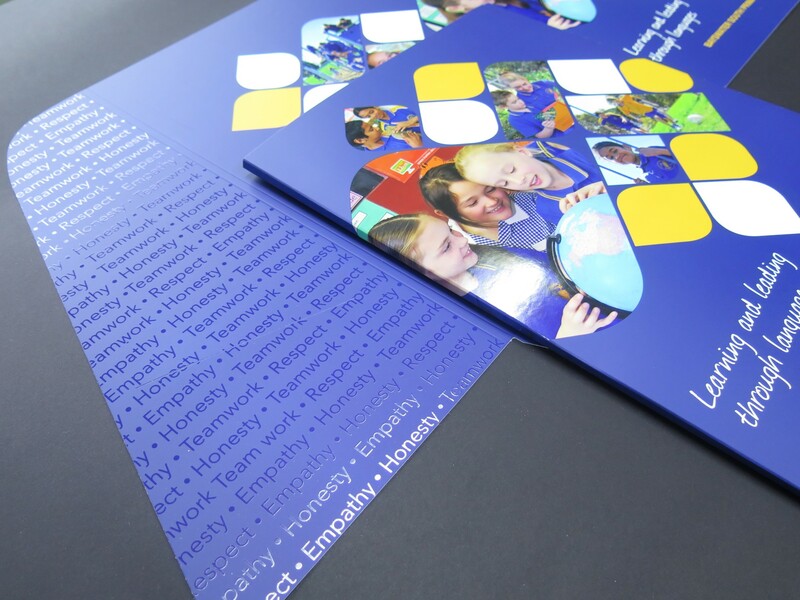 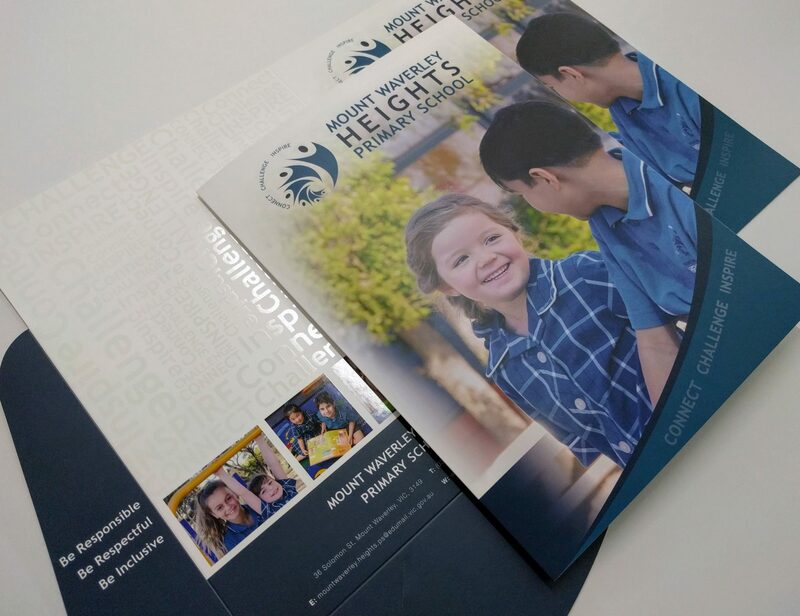 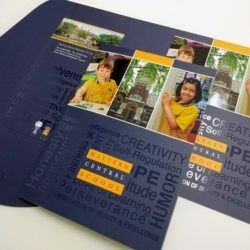 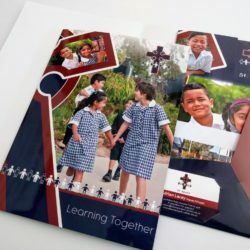 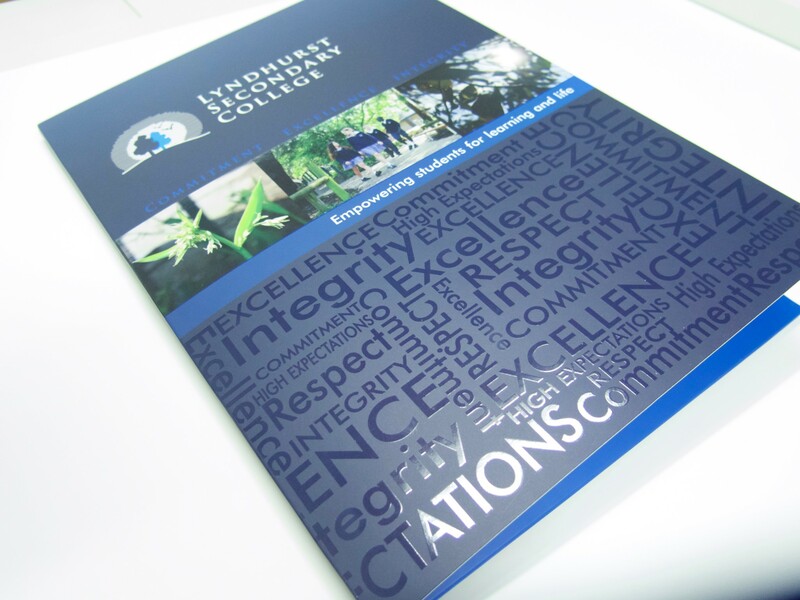 Print Design Australia will custom design your school presentation folders or report covers using your existing school branding, or we can come up with a new logo and branding design if you need. 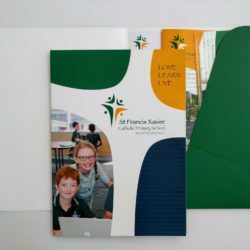 Design options include printing on one or both sides of the folder or cover, and creating either single of double pockets for document storage. 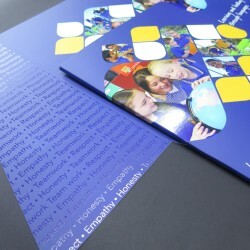 A range of print finishes are also available, including matt or gloss laminating, spot UV coatings, die cutting and embossing. Take a look at examples of school folders and report covers we have created for other schools, or check out the large range education printing services we offer. 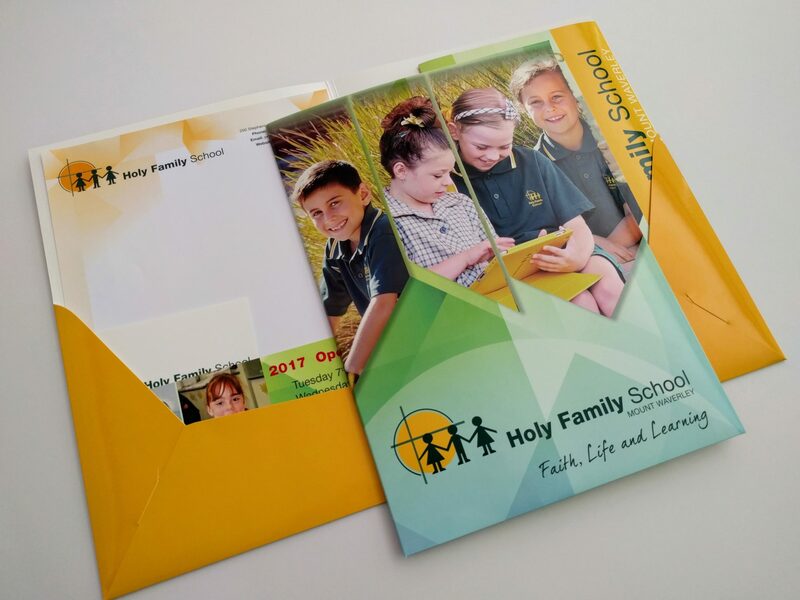 Digital Presentation Folder with Gloss Laminate and Gold Foiling. 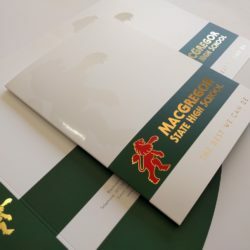 Presentation Folder with Matt Laminate, Spot UV and Gold Foiling. 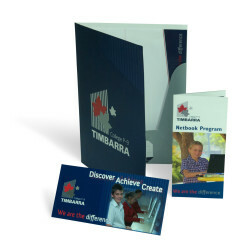 Presentation Folder Printed Both Sides with Business Card Slot. 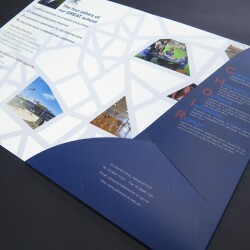 Presentation Folder with Matt Laminate and Spot UV Coating. 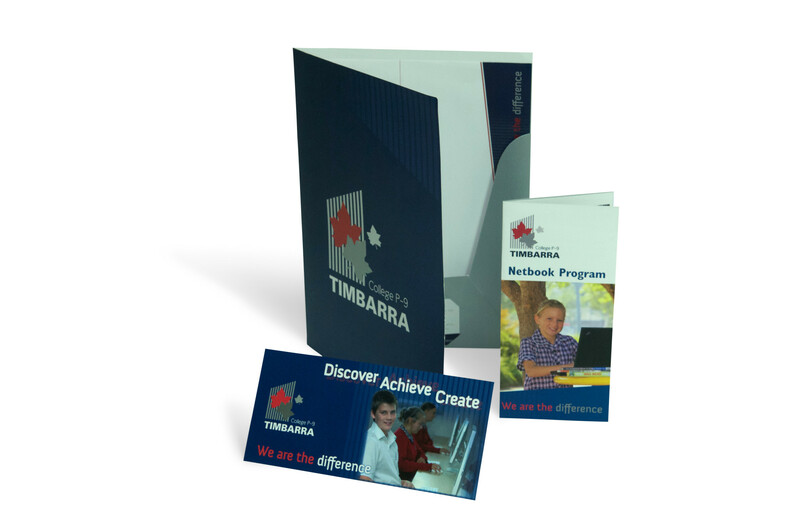 Presentation Folder with accompanying print collateral. 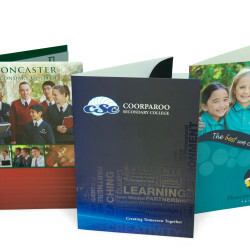 Various styles of Presentation Folder. 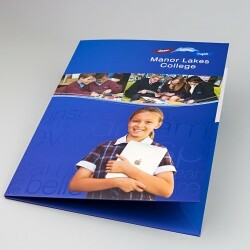 Full colour Presentation Folder with Matt Laminate finished with a ‘Spot UV’ Coating.